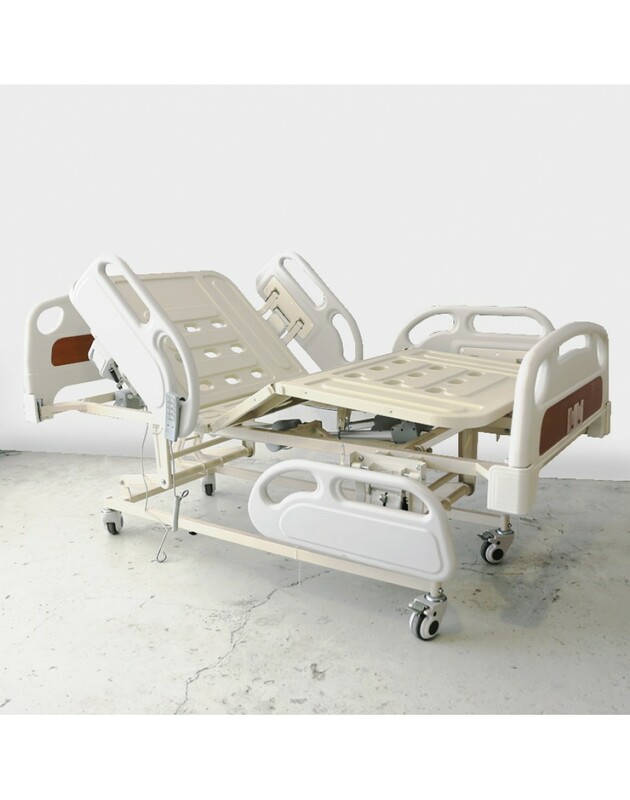 The 3 Crank Electrical Hospital Bed Luxury Version has split side panels such that the user can hold on to one of the side rails for added safety and stability while getting off the bed. 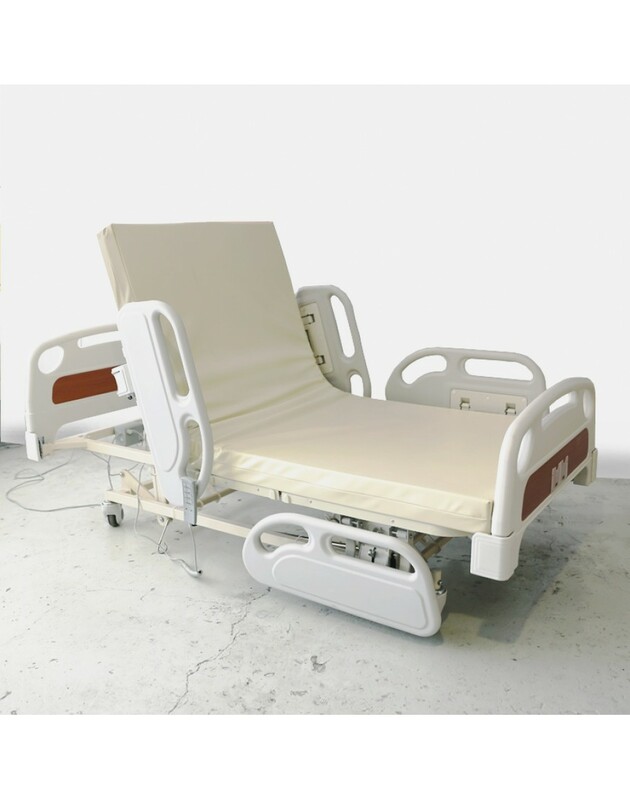 The 3 crank electrical hospital bed is our standard electrical hospital bed for home patient use. It is low in power consumption and only consumes power when the remote is pressed on. 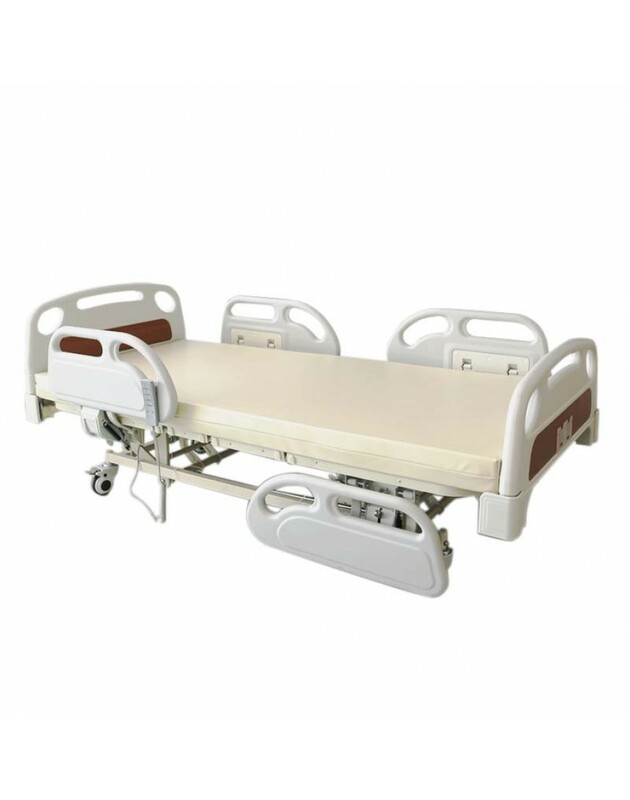 The side panels are split such that the user can hold on to one of the side rails while getting off the bed. This provides an additional level of safety and stability for users who are still active. 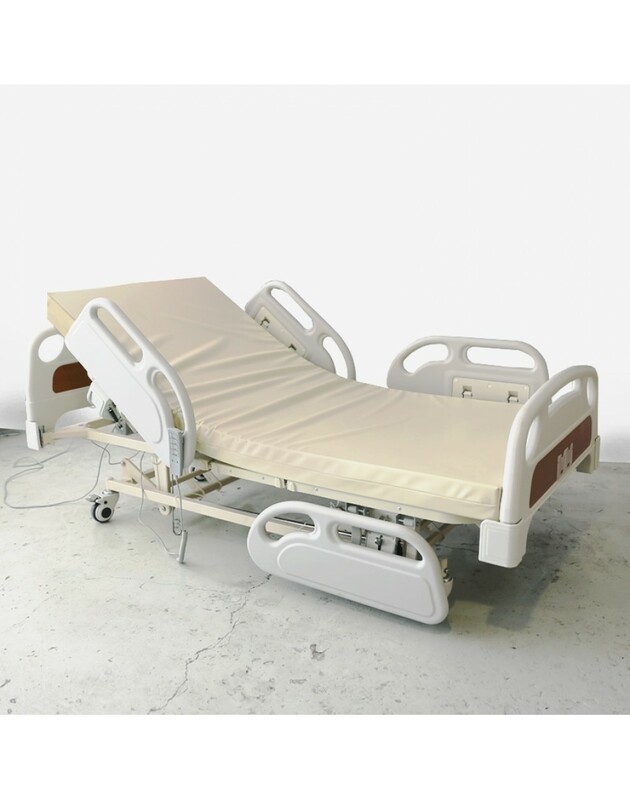 A standard 4 inch foam mattress and delivery is provided. *All pictures are for illustration purposes only.